Providing pet birds a healthy diet is essential. Without proper nutrition, birds can become sick and even stressed to the point of displaying unwanted behaviors such as biting and feather plucking. One of the biggest mistakes that new pet owners make is giving birds a diet solely or primarily of seeds. 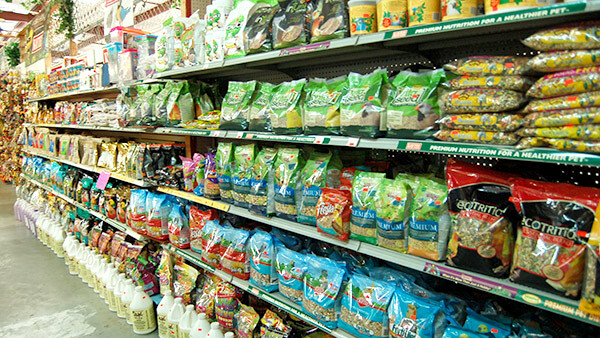 The problem is that seeds are deficient not only in vitamins but also amino acids and minerals, things that birds need. 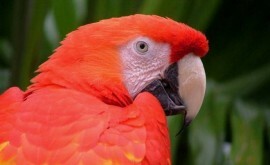 In a natural environment, certain parrots to include parakeets, cockatiels, and even some macaws and cockatoos depend on a heavy seed diet but considering there are more than 60 types of seeds in the wild, the diet is well-balanced. In comparison, the quantity and types of seeds used in commercial bird food are inadequate for captive pets since they have extremely low levels of vitamins A, D3, E, and K, as well as calcium, minerals, and amino acids. For this reason, most companion birds are weaned completely off seeds. More than likely, a bird given only seeds would develop a vitamin A deficiency, which can lead to bad feather quality and a compromised immune system, making the bird more susceptible to infection. Simply put, a well-balanced diet ensures the health and happiness of a bird. 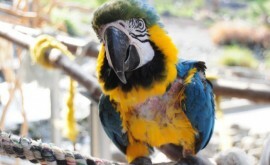 In addition to variety and quality, parrots need to be stimulated, which is why so many are naturally drawn to foods of different colors and shapes. Calcium rich foods include scrambled eggs and dark leafy greens, which more than any other mineral are necessary to ensure a bird’s metabolism and strong bones. In fact, African Grey parrots are prone to a condition called Hypocalcemia or low blood calcium. 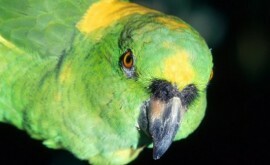 Therefore, this particular parrot breed needs foods high in calcium. For proper digestion, certain birds to include finches, pigeons, canaries, and doves, need grit in the diet. Interestingly, some birds such as parrots remove seeds from shells before eating while finches, pigeons, canaries, and doves swallow the shell and seed whole. Because of this, these birds need grit in the diet to aid digestion. However, when stressed or sick, some birds will gorge on grit to the point of causing intestinal blockage, which is why the amount needs to be monitored. Along with the more basic diet, there are birds that need to follow a special diet such as soft bills, lorikeets, lories, and nectar eaters. Then for toucans and mynah birds, a diet low in iron is critical. Keep in mind that when switching a bird from a poor to healthy diet, the conversion must be gradual. Very small amounts of new foods should be introduced, one at a time. Based on the amount of food being consumed and the level of dropping production, adjustments may be necessary. Why Do Birds Live So Long?